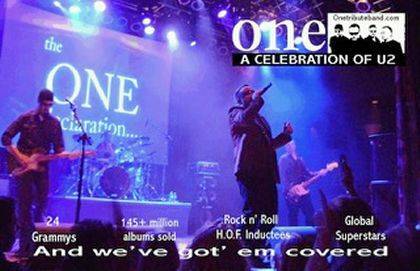 ONE, A Tribute to U2 is the first of five summer concerts to be presented by the Champaign County Arts Council. The free concert starts at 7 p.m. Saturday at the Melvin Miller Park stage in Urbana. Music lovers are encouraged to bring lawn chairs and/or blankets.